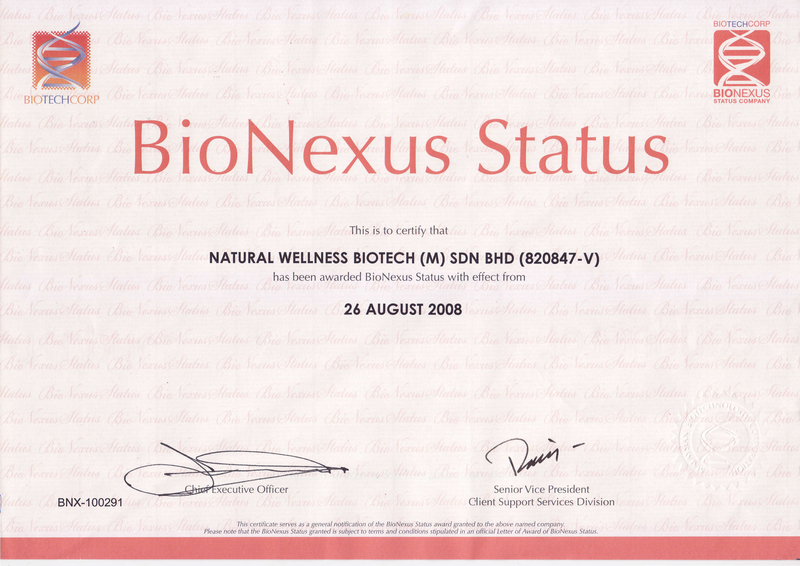 Natural Wellness Industries Sdn. Bhd. 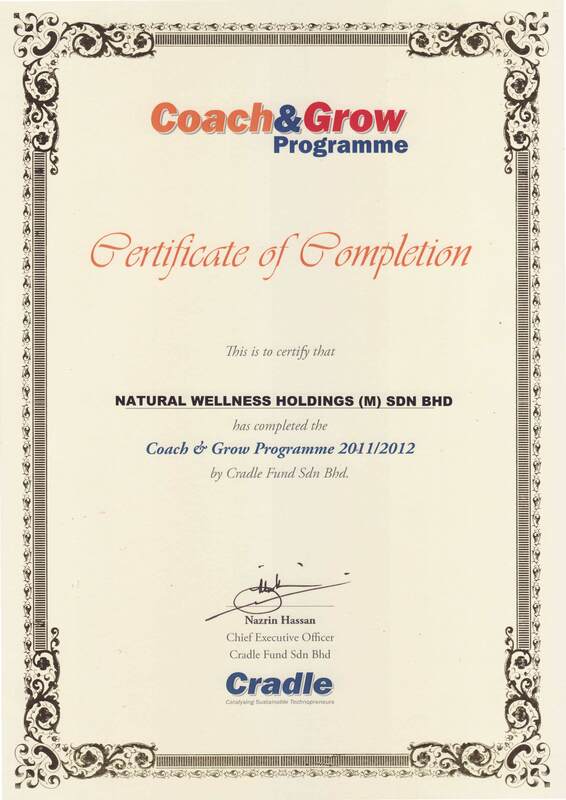 is one of Malaysia’s fastest growing Nutraceutical and OTC healthcare company. Offering a comprehensive range of natural products produced from the finest organic, ethically crafted and highest quality extracted medicinal ingredients to complement today’s modern lifestyle. Their high regard for the well-being of their clientele compels them to encourage people to use natural products rather than chemical-based medication. Their aim is to make people naturally healthy inside and out. Because we’d like to We offer a comprehensive range of natural products produced from the finest organic, ethically crafted and highest quality extracted medicinal ingredients to complement today's modern lifestyle. 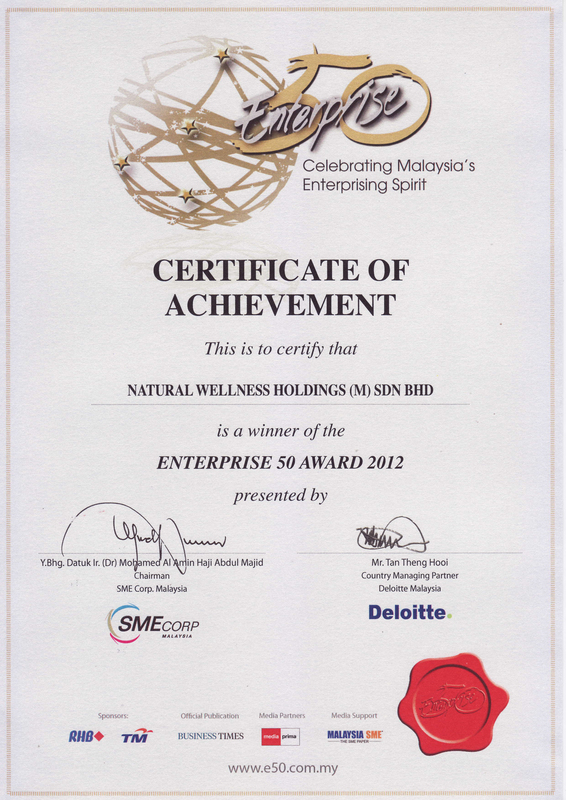 Natural   Wellness   is a fast growing Malaysian health supplement, nutraceutical, food and beverage company. We also provide  OTCs medicine, generic pharma, and biopharma products which are Halal certified,  natural and made of bio based medicines. We are a bio based  medicine research company and the EPPI . The company formulates, produces  and manufactures  a  comprehensive range of natural products made  from  the  finest organic, ethically crafted and best quality  extracted  medicinal  ingredients  to  complement today?s  modern  lifestyle. Natural Wellness wants to serve as an example to Muslims across the globe that it is possible to go back to basics in business as ordained by the Almighty and yet succeed in today?s business world. Natural Wellness is an award winning organisation complying with a comprehensive list of quality standards, certifications and accreditations. 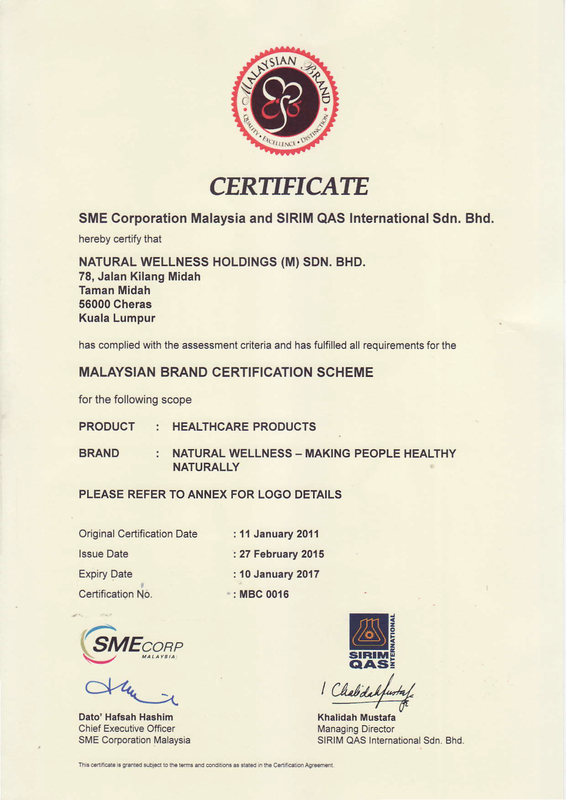 The company is the leading, if not the only, value based and principled syariah compliant healthcare player focusing on developing and commercialising a range of diversified, innovative, up-to-date, high quality, affordable natural products to make people healthy naturally. It is not by coincidence that the famous saying goes, health, wealth and happiness. After all, without health what is the point of wealth? And without health, is happiness even possible? Today's world is more and more often seeing a clash of principles between the old and the new. Modern medical miracles, health supplements and cutting edge technology sits uneasily alongside ancient remedies and the wisdom of the ages. Both jostle for the public attention and each claims to be the more effective method. At Natural Wellness, a delicate balance is struck between both world views. Natural products, based on traditional and time-honoured formulae, made from the finest syariah-compliant, organic, ethically crafted and extracted herbal ingredients are supported by science and produced under the most stringent space-age quality standards. And what behind this exotic blend of the old and the new? A devout and fervent basis in Islam, the encouraging words of loving parents and a can-do, never-say-die attitude. Managing director Shahnas binti Oli Mohamed says her father taught her from a very young age that there are no boundaries to what a woman can achieve and that she could do anything a man could do as long as she tried her best. 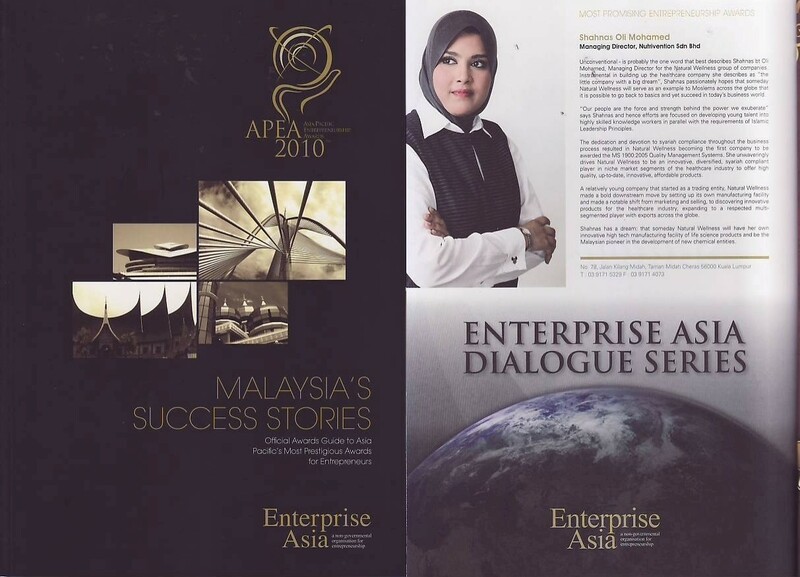 The best effort, coupled with patience, perseverance and prayer will, insyallah, lead to success. My mother, on the other hand, taught her daughters to be independent and to stand on their own two feet no matter what. They are to depend on no one, except the almighty Allah, she says. Shahnas says that coming from the two people who loves her the most, these virtues cannot be anything but inspiring. 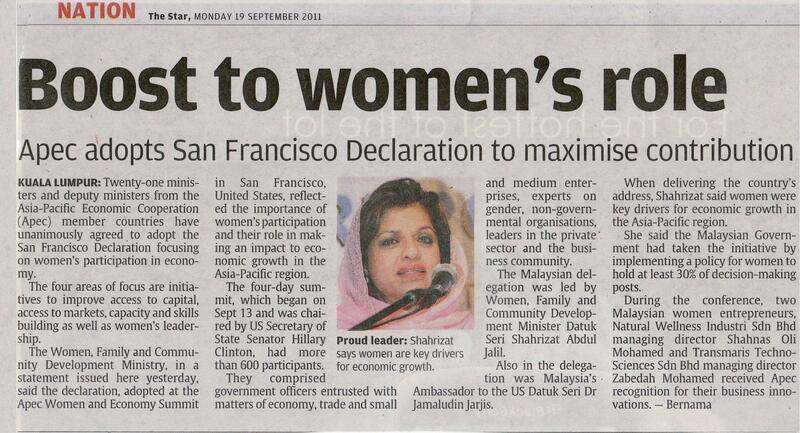 And the vision it inspires is to build a company driven by a roadmap anchored on the Islamic faith. 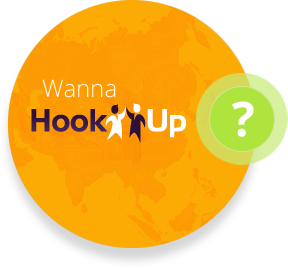 A company that is innovative, diversified and able to provide high-quality, affordable health products. 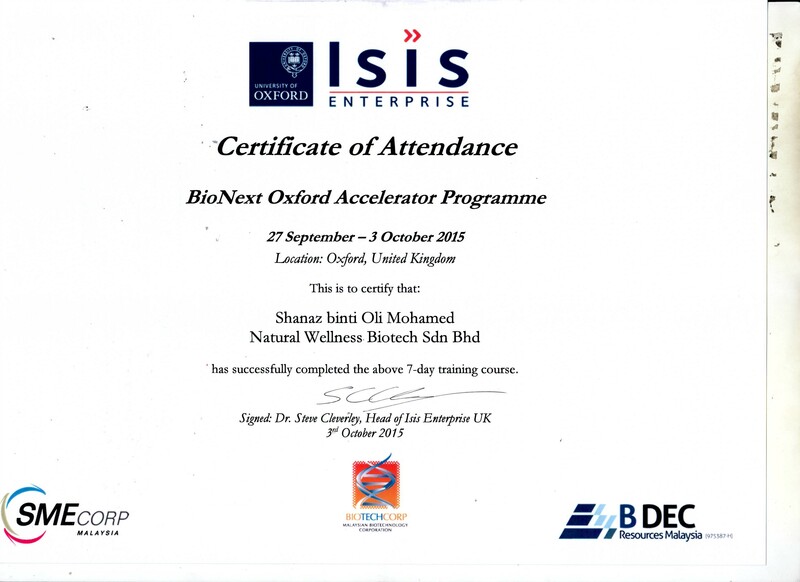 Shahnas's dream is for Natural Wellness to be an example to Muslims across the globe of a company that can go back to basics in business and yet succeed. It is a dream that comes with significant challenges of its own. Convincing both its own people, as well as its customers, that the Islamic model is one that cannot fail is not easy. Shahnas opines that this challenge is significant because the Islamic faith is one which is in dire contradiction with today's common business practices. However, it is a challenge which Natural Wellness has surmounted. Part of the reason for the success is the person Shahnas cites as her role model - Khadija Al Kubra R.A, the first wife of Prophet Muhammad S.A.W and a very successful businesswoman in her own right. The rewards have been notable too. 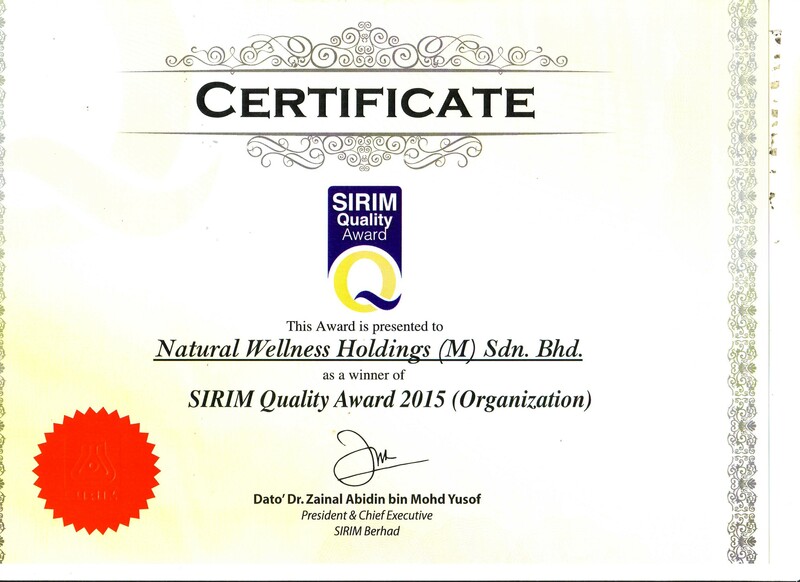 When Sirim introduced the pilot programme for the MS 1900:2005 Quality Management Systems, Natural Wellness beat out many large organisations to become the first company to be awarded the certification. 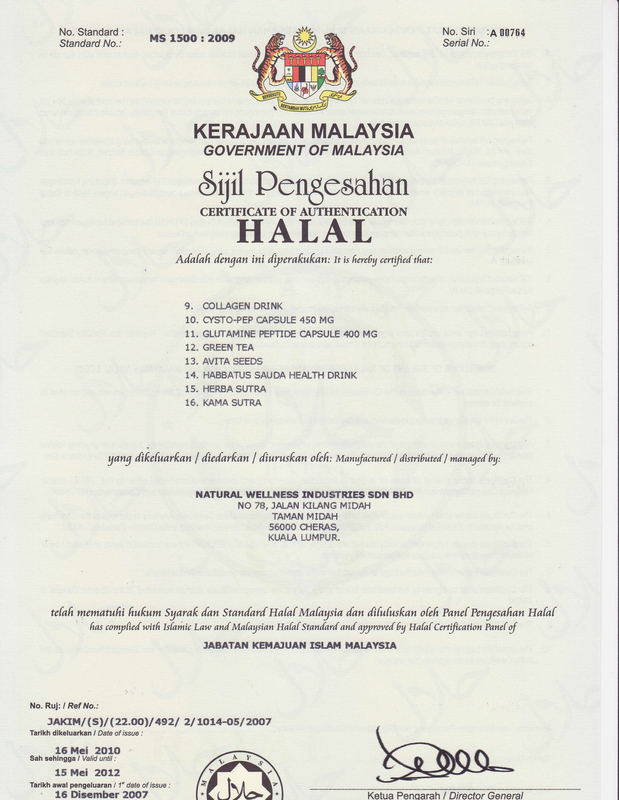 Another significant milestone came in 2010, when Natural Wellness won the SME Innovation Award for Halal Products and Services.